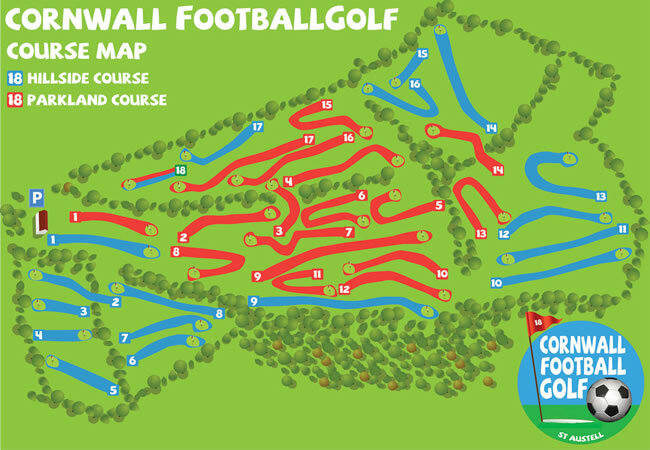 Hidden amongst this Cornish tourist hotspot, whether you are a local or a holiday-maker, head on out for an experience with a difference as you discover Footgolf UK. 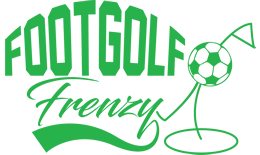 Located in St Austell, just 5 minutes from the Eden Centre, there are two 18-hole courses here dedicated to Footgolfers. This really is the South West Footgolf centre. The two courses vary considerably, the Hillside course lives up to its name and offers a hilly challenge, whilst the Parkland course offers a more level course suitable to those just looking for a taster. There are plenty of hazards and obstacles offering variety and fun, but this really is a centre which is suitable for all ages and abilities. There is a clubhouse on site with plenty of parking and a café serving light meals. In addition there is a play area for under 5’s. This course has two 18 hole courses, one red (easier - flatter) and one blue (harder - hills/slopes). Its well designed, with numerous obstacles on every hole including a tunnel, various fences and obstacles, one with water all around the green, various bunkers, one over a ditch, and numerous others with a different challenge on each hole. Giving this course a excellent variety. The course is maintained well and is always well kept and very tidy. The team running it are very friendly and helpful. This course is from April until the end of September. Plenty of free parking is available on site. Clubhouse is very clean and tidy also and serves a good selection of drinks and snacks. Loved playing this course. Fully recommended.